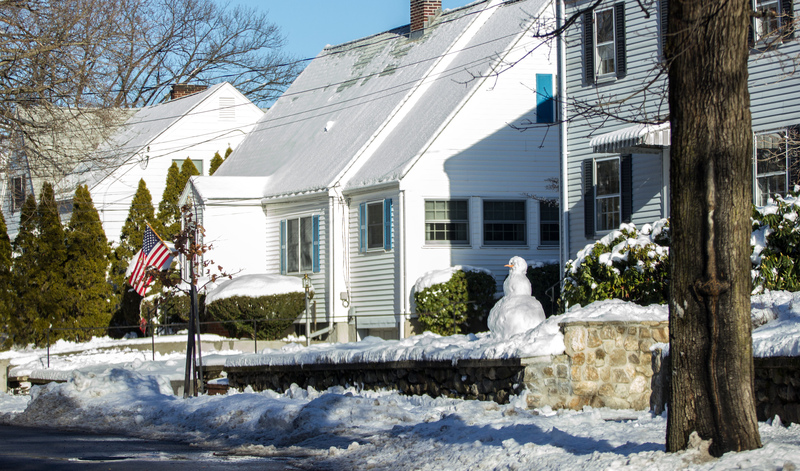 A snowperson in the front yard of a Cutter Hill Road home. 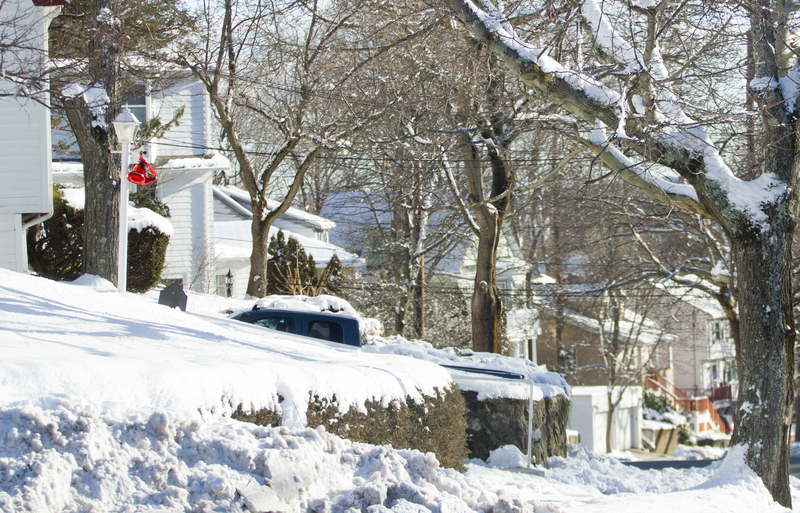 Decorations on the light post of a Hemlock Street home. 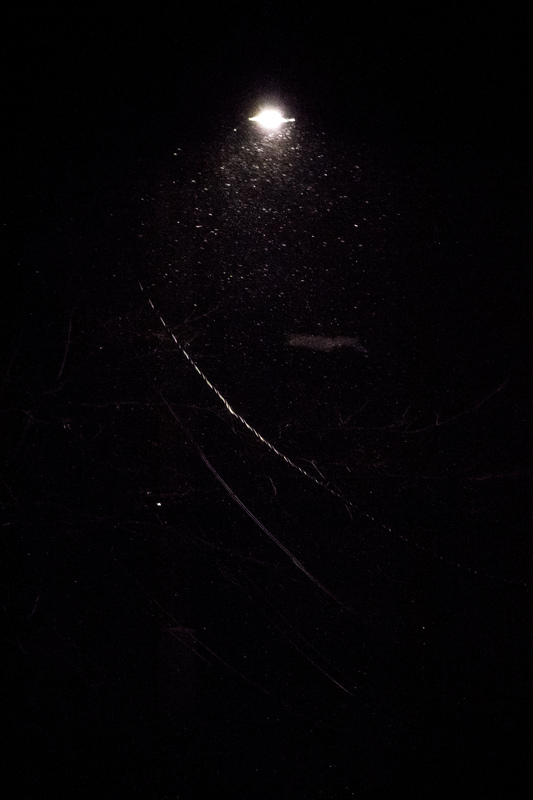 Stiff winds blow snow around under a streetlight during a nor’ easter. 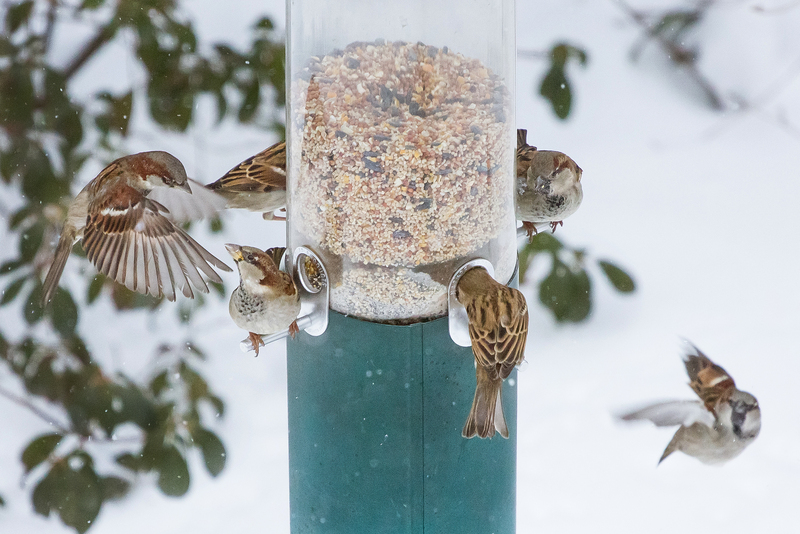 In the midst of a snowstorm, birds maneuver for space on one of the four perches at a birdfeeder. 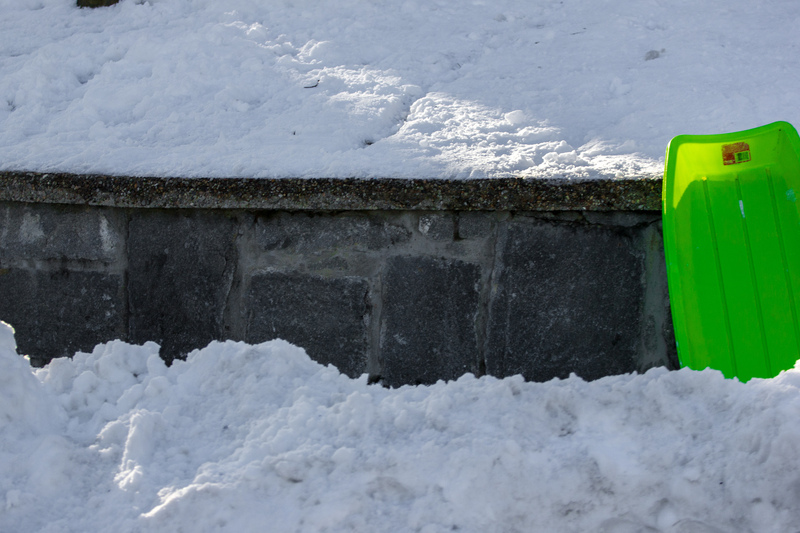 A sled propped against a retaining wall. 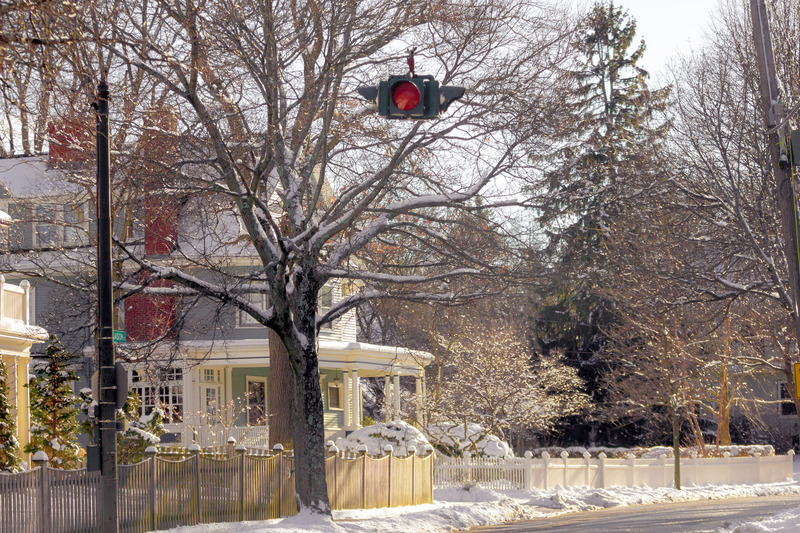 A light signaling a four way stop hangs over the intersection of Jason Street and Gray Street. 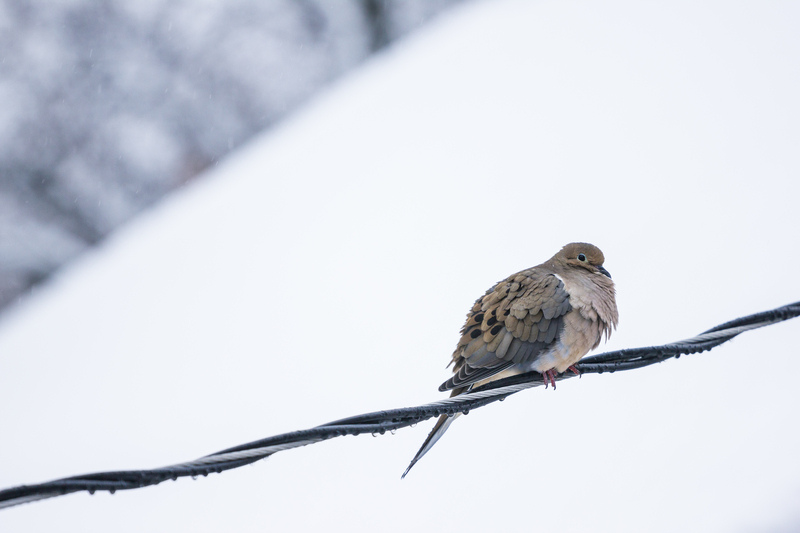 A mourning dove rides out a late January snow perched on a power line.